Dr. Michael Niccole, the founder and Medical Director of CosmetiCare Plastic Surgery Center and MedSpa, established the Magic Mirror Foundation in Orange County in 1987. 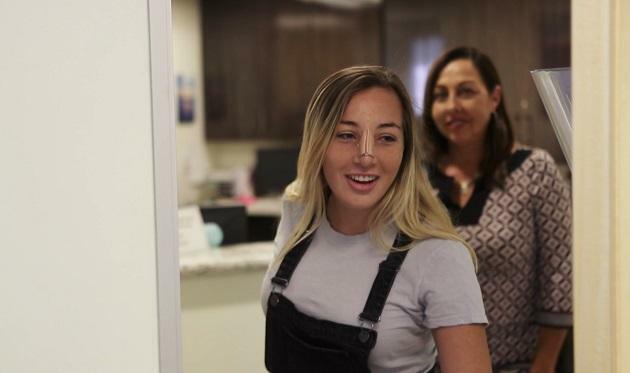 The foundation was created to help people who are in need of cosmetic or reconstructive surgery but unable to afford the cost, which often isn’t covered by insurance. Over the decades, the foundation has provided surgery to thousands of patients, including victims of domestic abuse, accident victims, breast cancer survivors, and children who have been victims of bullying. Helping people was what compelled Dr. Niccole to establish the Magic Mirror Foundation after he and other doctors traveled to Mexico and South America to provide medical attention to people who would not otherwise have access to doctors. Burns, cataracts, cleft lips and cleft palates were among the common problems he treated. Dr. Niccole found that repairing these relatively simple deformities vastly improved an individual’s self-esteem. People who had been extremely uncomfortable with their physical appearance were able to live more normal lives after surgery. He soon realized that the need for people with disfigurements was also great in the United States. Since then, Dr. Niccole has donated more than $1 million of his own money to the foundation, with all proceeds benefiting patients. Work by the Magic Mirror Foundation has been featured by media outlets including Inside Edition, The Orange County Register, KTLA, and Orange Coast Magazine. The Magic Mirror Foundation continues to be committed to enhancing and enriching the lives of those who are in need of cosmetic or reconstructive surgery but unable to afford the cost. We appreciate all interest in submitting an application for support from the Magic Mirror Foundation. With growing requests, the Magic Mirror Foundation provides surgical procedures to patients who meet financial and medical criteria. Your Story – Why are you contacting the Magic Mirror Foundation? Patient Photo – Please attach a photo for our surgeons to evaluate. Permission to publish your story – If selected, please confirm if you agree to give the Magic Mirror Foundation permission to publish your story, including photos and videos. We wish to give every application the consideration it deserves. For this reason, please ensure your application addresses all information requested, specifically and completely. If selected, proof of financial need may be requested. Please note: We are expecting a high volume of applications. If our foundation finds you eligible for support and further consideration, we will reach out to you using the contact information provided in your application.